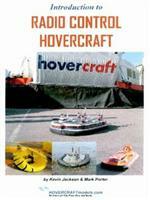 The following is a selection of resources to get you started in the world of model hovercraft. Please also visit our links page as there are some helpful websites available. For the first time, this comprehensive tutorial brings together all the information required to design and build successful radio controlled Hovercraft model. Written bytwo leading authorities in RC Hovercraft design, Kevin Jackson and Mark Porter take you through both the theoretical and practical aspects of the design and construction process. See more about this book here. The book covers what type and model size, power sources, Fans, Skirts, Hull design. Three very simple free flight models are described with drawings included. The book takes you on a tour of the Hovercraft's secret world. Learn about the early days of cushion craft, modern day Hovercraft designs and try experiments to see the Hovercraft principle in action. Model Hovercraft designer Kevin Jackson traces the history of this extraordinary craft through early ideas and designs to modern craft. It looks at the operation of the craft and introduces you to radio control model Hovercraft designs. 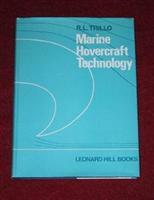 The book presents the state of hovercraft technology at the end of the first decade of development. This expensive book is probably the 'bible' of hovercraft development. 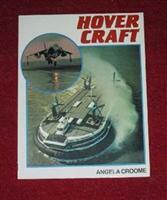 Reading it is heavy going but gives a real insight into how a hovercraft works and the problems encountered. There are 172 figures and 19 tables. Contents include Cushion systems, Cushion sealing, Aerodynamic and Hydrodynamic forces, Stability and control, Propulsion devices, Noise and craft layout. The purpose of the book is to take a DIY'er through the stages of building an integrated hovercraft. Enough information is provided for an experienced modeler to make an integrated craft. The book covers what is a Hover craft and gives a history of rotary flight leading up to the SRN1 then moves on to modern hovering machines such as the Harrier. Some colour photos of the SRN1 are included. 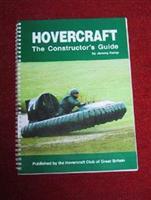 A good introduction to hovering craft including the hovercraft. We think this is the first ever video on the design, building and operation of model hovercraft.